At Friel and McGahon Dental we make data protection our business and we want to be clear about how your data is used when you visit our website and choose Friel and McGahon Dental to deliver dental services to you. We seek your consent to obtain and process personal and sensitive data for the purpose of providing you with dental treatment safely and to the highest standards. We want you to know what we do with your personal and sensitive data and why we do it. With this privacy statement we aim to be as transparent and granular as possible. Naturally, if you have any questions you can reach out to us at info@frielandmcgahon.ie. This Privacy Statement is your guide to the principles of privacy and confidentiality which govern the collection, use, storage, disclosure and destruction of your personal data in this practice. The Information and Compliance Officer in this practice is Dr. Fergus Friel. • Med 2 forms so that you can make a claim for repayment of tax from the Revenue. Your personal and sensitive data is stored on computer and on manual record. We will regularly update your personal data, including your medical care, to keep it relevant. We ask that you please inform us of any significant changes, such as a change of address or other contact details, at your earliest convenience. It is important to know that the collection, use or possible disclosure of this data may be crucial to our ability to safely provide you with the care you require; without your agreement to this process it may not be possible to undertake treatment.Lawful basis relied upon: consent or legitimate interest. • To collate, print, photocopy and post insurance or medico-legal reports. It is practice policy to send you a courtesy reminder of when your next appointment is booked or due. This reminder is sent to you by SMS and electronic mail. We seek your consent to use your personal data for this propose and advise you of your right to refuse to have your data used for this purpose. Lawful basis relied upon: consent or legitimate interest. Friel and McGahon Dental collects curriculum vitaes (CVs), contact details (name, postal address, email, phone number), timesheets of employees, sick notes, PPSN for employees. Lawful bases relied upon: processing is necessary for compliance with a legal obligation such as Employment Law and Taxation laws. Processing is necessary for the performance of a contract (Employee Contract of Employment) to which the data subject is party or in order to take steps at the request of the data subject prior to entering into a contract. 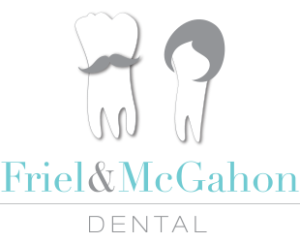 Legitimate interest: processing is necessary to ensure Friel and McGahon Dental is effective and efficient in its regular business activities. We collect financial data required to comply with Irish Tax law such as VAT numbers, PPS numbers, account details for the purpose of paying and sending invoices. Under some circumstances, we are obligated to share personal data with third parties with whom we have no contractual relationship. Recipients of personal data may include: the Irish revenue commissioner and law enforcement should this be required for the investigation, detection, or prosecution of criminal offenses. Access to your personal data is on a ‘need-to-know’ basis. This prohibits the release of your information to a spouse, partner or family member without your explicit consent. A guardian or carer may have the right to access information in the case of vulnerable adults, or those with diminished mental capacity. A parent or guardian will have access to your personal information if you are less than 18 years of age. If Dr. Friel should cease practice or should die while still a practicing dentist, the dental team will be guided by the Dental Council’s Code of Practice relating to Professional Behaviour and Ethical Conduct in informing you, safeguarding your personal data and ensuring continuity of care where possible. • All clinical, financial and administrative records are backed up and encrypted off-site daily by Invistech (Friel and McGahon Dental’s IT Managed Service Provider). A contract for the security of off-site records is in place between Invistech and Microsoft Data Centre. Dr. Friel is responsible for dealing with any incident where personal data has been put at risk of unauthorised disclosure, loss, destruction or alteration. Friel and McGahon Dental’s management of any data breach incident will comply with the advice of the Data Protection Commissioners Office (DPCO). All records are disposed by a secure, certified, method of destruction (Dental Council Code of Practice relating to Professional Behaviour and Ethical Conduct, 2012). Where we rely on consent to process your personal data, you may withdraw consent at any time and you do not have to provide a reason for your withdrawal. If you wish to invoke any of the rights above please email us at info@frielandmcgahon.ie. Your request will be dealt with in a timely manner. If you do not wish to have your personal data collected, used or disclosed as described in this Privacy Statement please discuss this matter with info@frielandmcgahon.ie. It is important to know that the collection, use or possible disclosure of this data may be crucial to our ability to safely provide you with the care you require; without your agreement to this process it may not be possible to undertake treatment. If you have a complaint or concern with any aspect of how we process your personal information we would hope that you would notify info@frielandmcgahon.ie in the first place. You retain the right to make a complaint to the Data Protection Commissioner at all times. If you have any questions in relation to this Privacy Statement or any issue that arises from it please email with info@frielandmcgahon.ie. • Certification under the EU/US Privacy Shield.